This company is busting out some of the coolest, funnest Halloween Tees right now. There’s some that are obviously Disney (Amuck x 3, I’m The 4th Sanderson Sister, Ghosts Come Out to Socialize), but then there are other awesomely generic ones like Worst. Costume. Ever. and Witches Be Crazy that have got us cracking up! Check out our Gift Guide with all of the Greatest Disney Costumes of all time! 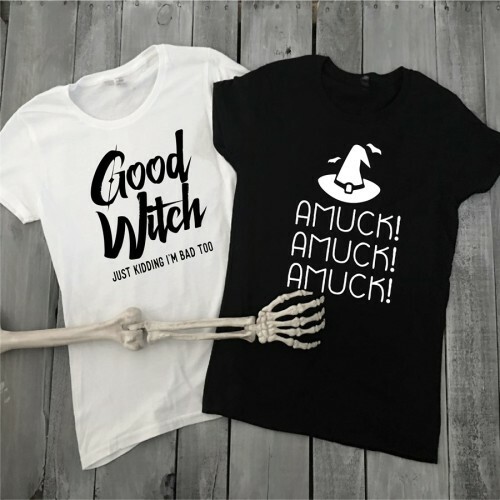 *squeee* I need that amuck shirt! I passed this on to my husband, these are so me.